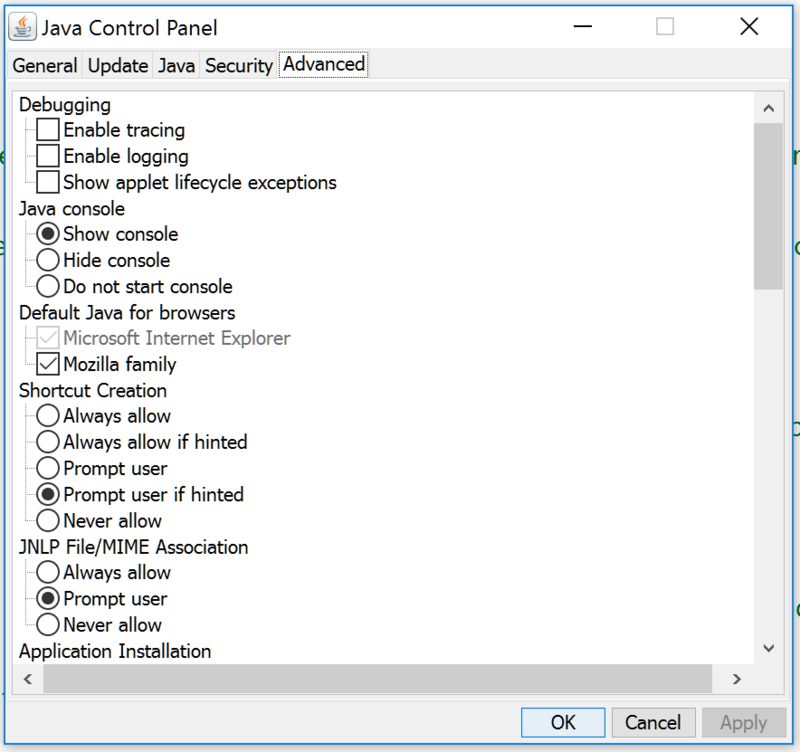 People that receive Thru download links requiring Java will need to install and configure Java on their computer and in their browser. The recommended location to get the Java software is Java Download. Install the 32-bit version of Java if you are using 32-bit browsers. For more information on 32-bit vs 64-bit Java, visit which Java should I use. !Google Chrome, Mozilla Firefox and Microsoft Edge no longer supports Java applets. Internet Explorer 11 still supports Java. After the Java software is installed, advanced settings may need to be adjusted in the Java Console. The main menu for the console will display. If additional troubleshooting is needed, select the Advanced tab in the panel, find the Java console section and ensure that Show console is selected. The Java Console will display messages as calls are made to Java by the web application. Following is a display as a result of the above steps. Your browser settings may require you to enter the Thru site as a trusted site to run the Java applet. 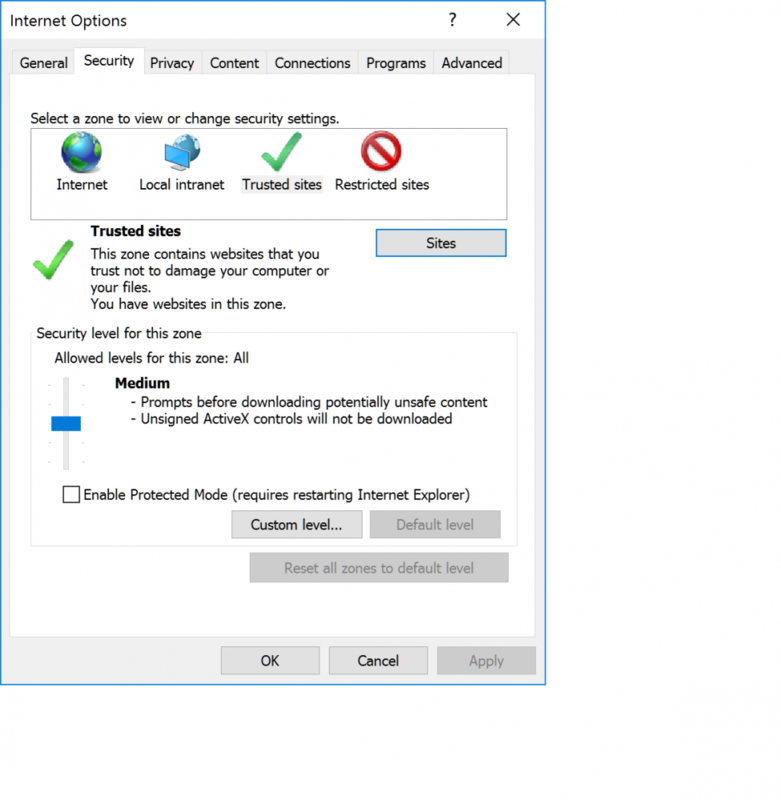 Open Trusted Sites in the browser security settings. Add https://*.thruinc.net or the specific name of the Thru site you are using, for example https://CompanyName.thruinc.net. Reopen the link you received to download the files. The browser may prompt you to run the java applet installation executable. A prompt in Internet Explorer typically appears at the bottom of the browser window in a yellow box. Firefox will display a dialogue box to prompt the user to allow / block the plugin. Click the Select All button. Set every to allow and remember. 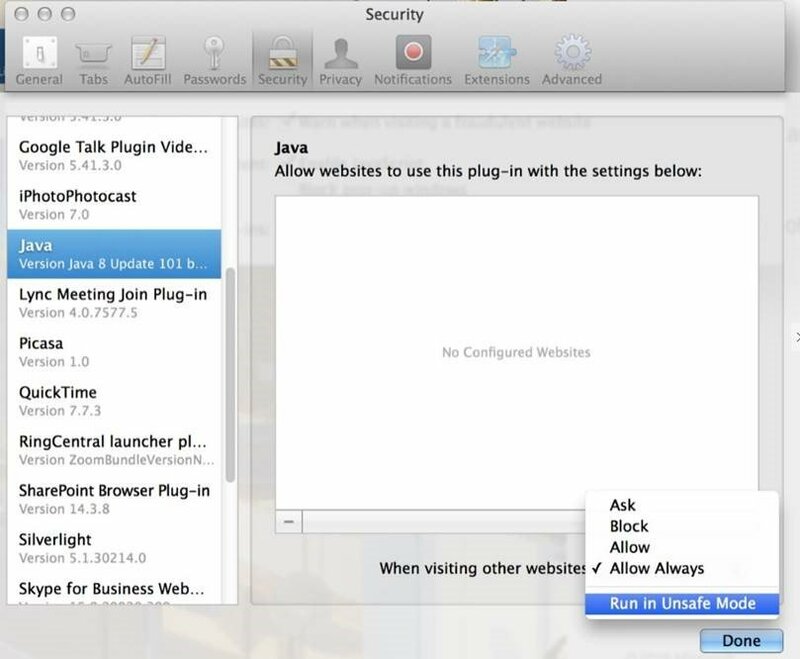 Following are steps that may be needed to enable Java download on Mac OS (Safari or Firefox). By default Java is set to run in “safe mode” which does not allow saving files on disk. To enable file saving using Safari or Firefox, changes are needed under Manage Website Settings security preferences.